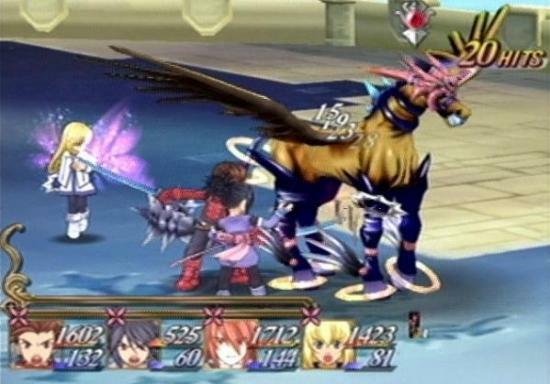 Over the last couple of months, I’ve often been asked why, after continuing our Tales of Symphonia live stream session after session, there were no video recordings and no recap articles. My answer for awhile was that the video recordings had mysteriously disappeared. That was before I learned that Twitch deletes stream recordings after a couple of days if you don’t simply click the “Save Forever” option. I’ve learned my lesson, and all future sessions are going to get saved. But for the three sessions that were lost, I would like to personally apologize. Still, it’s better to pick up the pieces and move on than to dwell on that mistake. In light of this, it’s time to, at the very least, look back on those episodes and recall what happened to get ready for the ones that have come since. 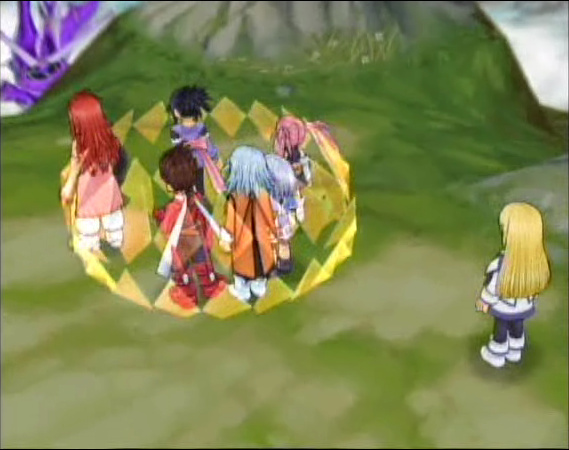 WARNING: SPOILERS for Tales of Symphonia abound! If you don’t want to be spoiled, please stop reading. You have been warned. Just a generic shot of Iubaris. Needless to say, there are no actual screenshots of our stream. The first of these lost sessions was Session 6. I find that pretty ironic because we actually went through Session 6 twice. The first time, an error prevented the gameplay from actually being streamed. So after another two weeks’ time, we went through all the battles again. First, our group went up the Tower of Mana, where the party had to split up and reflect beams of light in order to progress. The dungeon culminated in a fight against the Seal’s Guardian, Iubaris. Afterwards, Colette discovered the next stage of her angel transformation, which took away her voice. We then set up camp, where Sheena finally revealed why she had been trying to kill Colette. Sheena came from Tethe’alla, a world located in a shifted dimension. It competes with Lloyd’s world, Sylvarant, for control of mana. If Colette regenerates the world, she would merely reverse the mana stream, causing it to flow from Tethe’alla to Sylvarant. Sheena had wanted to stop this, but we pondered whether there was a way for both worlds to have mana. With all the Seals open, it was time to head over to the Tower of Salvation and complete our quest, but not before saving Pietro, the guy who had helped us at the Asgard Ranch and eventually lost his mind. We searched out a unicorn for its horn, but in order to meet with it, Sheena needed to make a pact with the spirit of water, Undine, to be able to summon her. While we were at it, we also got Efreet, the spirit of fire. And thus concluded Session 6. In Session 7, we met the unicorn and saved Pietro, letting us finally go on to the Tower of Salvation. We rented dragons and headed up to the Tower, where we met the angel Remiel one last time. He revealed Colette’s final sacrifice: her heart and memories. The journey of the Chosen was an effort to create a new body for Martel to possess so she could be revived. Lloyd tried to stop it from happening, but it was no use. Colette was not Colette anymore. Lloyd realized that everything we’d been told since the beginning of the game was a complete lie, told to manipulate us into doing all this. In anger, we struck back and fought against Remiel, barely defeating him… But wait. Kratos wasn’t with our party. He had been standing there watching the fight the whole time! Why didn’t he help? Kratos? Kratos? “Lord Kratos,” Remiel said with his dying breath. He asked him for help! Kratos was on his side. He stood before us, unveiled his angelic wings, and challenged us to an impossible battle. It’s a lucky thing we weren’t required to win it, because there was no chance of that happening. He slaughtered us all. We also got a brief encounter with Kratos’ boss, Yggdrasill, who apparently controls not only the angels, but also the evil Desians. Before he could finish us, though, we were rescued by the Renegades. The Renegades were another organization that masqueraded as Desians for their own reasons. Although they helped us, they then threatened Lloyd, so we stole their Rheiards—advanced single-passenger flying machines—and used their ability to cross dimensions to go to Tethe’alla. They ran out of power right away, though, and crashed. Meeting Zelos for the first time. Our party wasn’t fooled by his charms. In Session 8, we began exploring Tethe’alla. 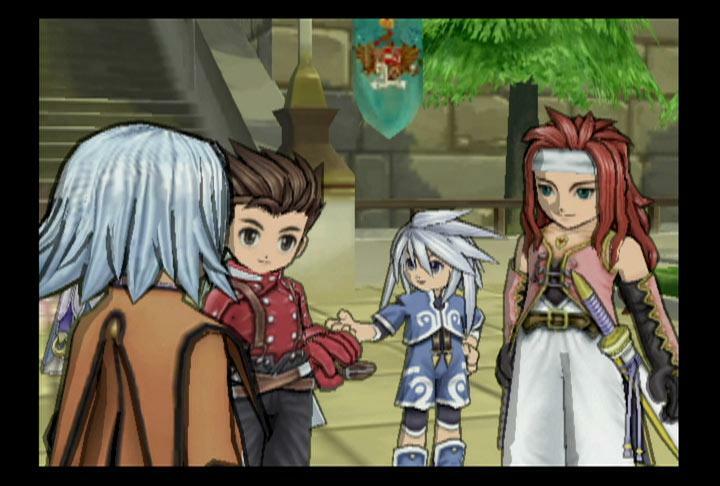 Though Sheena went off to report back to her village, we met two new party members early on: Zelos, a womanizer with the exact same abilities as Kratos in battle, and Presea, a ridiculously strong 12-year-old girl with almost no emotions. Presea helped us make our way into the castle in the capital city of Meltokio so we could present the King of Tethe’alla with a letter from Sheena, but the suspicious Tethe’allans still wanted us dead. We agreed that we would stay in Tethe’alla and try to reverse Colette’s transformation, preventing the mana from going back to Sylvarant. They sent Zelos, Tethe’alla’s own Chosen, along with us to make sure we kept to that promise. So we headed across a massive bridge to a college town, where they told us that Colette’s angel transformation was due to a special Exsphere. 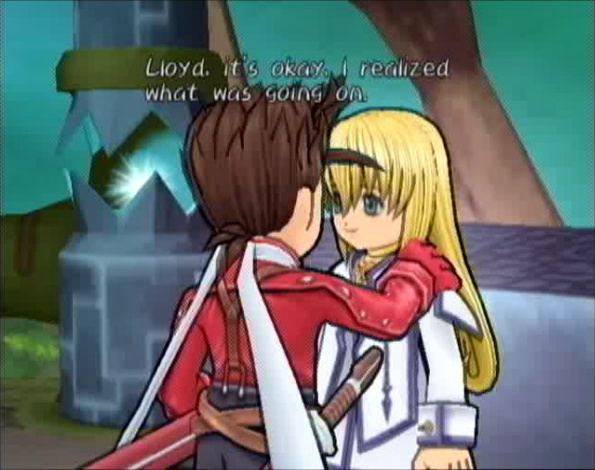 Lloyd found and repaired a Key Crest, which stops the negative effects of Exspheres, and gave it to Colette, but it didn’t work. All we could do, we decided, was to go back to Sylvarant and ask Dirk, Lloyd’s adoptive father, to try and fix it. We couldn’t just go back that easily, though. We strong-armed Zelos into letting us go back, but a bunch of spies appeared and arrested us. They immediately took blood samples and found that Genis and Raine weren’t elves at all—they turned out to be half-elves! And in Tethe’alla, all half-elf criminals were to be executed. They took our magic-casting friends across a bridge and locked us in a basement lab. There, we met some half-elf scientists who had done work on Presea—the reason she was such an unusual case. They said she would probably die soon, but if we could prove we really had half-elf friends, they would help us save her. Sheena suddenly appeared and broke us out of jail, and we pursued the knights who had our friends. We rushed across the bridge just as it was being drawn up, dispatched the knights guarding Genis and Raine, and reunited with them. This was great news, but now we had a problem: no matter which goal we wanted to go after, we couldn’t do it without the Rheiards! We had no choice but to go back up the mountains where we crashed them and get them back. When we got there, though, a trap was waiting. Pronyma of the Desians and Yuan of the Renegades converged on us. But when Pronyma tried to get the Key Crest off Colette, it suddenly activated, causing her to revert to her usual clumsy (but lucky!) self. She fell over and broke the trap, freeing us to fight Pronyma. She was a tough opponent, but we beat her…only to discover the Renegades had taken the Rheiards in the scuffle. Worse, we never got to turn our blades on Yuan, because Kratos showed up and stopped us. So, our plan was foiled, but at least Colette was back to normal. We decided our next action was to try to free Presea. To do that, we secured a boat and resolved to head back to the laboratory. With that goal in mind, we finished off the third and last of the missing sessions. Ready to go on? Starting with Session 9, the recordings are being saved once again. Head over to our Twitch channel to watch it or go on ahead to Sessions 10 and 11 (which got split into small bits—a, b, c, d).